Cod fishing from boats is an exciting leisure activity that is suitable for everyone. It is usually from boat that the biggest fishes are caught, both offshore and close to shore. 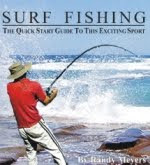 Several methods are available if you want to try out this sport fishing, most of which is easy to learn. This means that even the most inexperienced angler can try on cod fishing and even if you do not succeed at the first attempt, there are many other species that can bite. If you do not have your own boat there are still some good alternatives. You can join a friend, family or other acquaintances that have access to a boat. Also you can join a fishing charter or rent a boat. Below you will find articles that hopefully will give you the knowledge you need in order to succeed. Cod fishing from boats, you can practically engage in at any given time. In most areas you will be able to fish all year round, as well as around the clock. However, there are some periods of time that are particularly suitable for cod fishing. The best period for this leisure activity is from early October until April throughout. However, you can experience great catches even during the rest of the year. Many fishermen complain about small catches during the summer, something that is often caused by the fact that cod moves into other areas. Read this article on Cod Fishing.